Turn Watcher(tm) is an easy to use Initiative and Effect Tracker for table-top RPG dungeon masters. It tracks spells and other effects, alerting you when those effects expire, automates temporary hit points and hit point boosts, tracks PCs, NPCs and monsters easily during combat rounds, and handles delayed and readied actions in a snap. Use it to perform secret Spot and Listen checks and even Will saves on your players without them being the wiser. Download your copy today! The fine folks at Emperors Choice recently sent me a map of Arduin. It goes with their World of Khaas product, which I reviewed in an earlier issue. The map is great. It has thicker paper than other map products I’ve purchased recently, and it has a parchment look and feel. The country of Arduin has a lot going on it, and the map reflects that with excellent detail. I’ve put the map up on my wall for now, though I think I’ll send it to the Gamer Printshop for lamination to make it spill proof, as I’ll be using the map in a future campaign. Here’s a couple of quick pics I took of the map. A player in my campaign, – let’s call him “My horse is smarter than my paladin” – and a frequent e-zine contributor who e-mailed me last week both had recent computer issues and data loss. So, this is a reminder to backup your stuff. I bought an external USB drive the other day and it works great. I’ve copied my files over for redundancy. I also do a daily backup and put that on a USB key, which I take with me. Don’t forget to do a test restore of your data as well. It’s a pain, but there’s no point in having a backup system you can’t trust. Fast-play, skirmish fantasy miniature system, 2+ players. Revolutionary d6 based rules that you learn in just one game; no counting inches or centimeters. No bookkeeping. A game lasts 30-45 minutes. Only 5-10 models needed; play with any single-based miniature, in any scale; playable on hexgrids or tabletops. Stats for 180+ creatures included, and you can create your own. Mechanics work well in solo play; Campaign rules let your warband grow more powerful after every battle. Six basic scenarios included. Visit Ganesha Games for more information and supplements. Join the Yahoo group for errata, updates and sneak previews. My PCs are about to land themselves in jail. I was wondering if anyone out there has run a good prison break, or similar. Could you put this out to all the readers in the newsletter? Jail breaks are great game plots, whether the PCs are locked up for a single encounter or for a whole adventure. They are a world within a world, and give GMs a lot of creative freedom to design and run entertaining sessions. In the next couple of issues I’ll share several jail setting gaming tips to help you get those most out of such opportunities. Then, I’d like to post an issue with tips you might have to help Robert out. Just hit the reply button if any ideas or tips come to mind. Thanks! The frequent crime of prison adventures is they are dull: PCs are jailed, PCs puzzle out an escape, PCs escape. The first couple of times this happens, it’s new, exciting, fun. Then it becomes routine. Perhaps the GM struggles for inspiration, or maybe the huge potential of prison adventures are never considered. Another possibility is you are caught by surprise and have to whip up a prison setting on the spot while the players glare at you. Chances are, PCs will get into trouble with the law – sometimes frequently. 🙂 You will likely default to the few jail ideas you’ve read about, watched on TV or in a movie, or GM’d before. Following is the first batch of tips, themed around the jail environment itself. Before you think about the PCs’ escape, you should consider the setting. Craft an interesting prison location to inspire all other adventure elements and treat your players to a fresh game experience. From the prison administration’s point of view, the purpose of the place is to keep prisoners confined within their facility to serve out the conditions of their sentence. NPCs will be touched on in future tips, but you should also consider the viewpoints of important personages in your game world. For example, villains might have certain views on prisons and how felons could fit within their diabolical plans. From a game function point of view, what purpose does the prison serve? Temporary holding for an encounter or twoKeep the design simple and small. If you craft a large facility, you only need to flesh out the areas the PCs will experience. Avoid sandbox play where you let the PCs roam and interact without guidance. Provide strong hooks, have a rough plot and end goal in mind, and GM with enough influence so players are happy and having fun, and you are able to stick close to what you’ve prepared.Keep the pace brisk – avoid a long timeline. If a lot of in- game time passes, players might want to utilize that time, and you’ll need to think up what opportunities the facilities can offer, add to your cast of NPCs, and craft more encounters to keep gameplay interesting.If a lot of gameplay time passes, the pacing could drag and you might be pressed to add new elements such as NPCs, locations, and conflicts to keep the game entertaining. Long-term holding for an adventureCraft a larger design that can hold numerous planned and unplanned possibilities. Focus on NPCs for plot development. Think about more than just escape as a reward. Include other items, information, and goals that characters and players would strive for to keep them from breaking out at the first opportunity.Just like any other dungeon, a map of the facilities is important for consistency and to help inspire, prepare, and improvise.Look for ways to represent the multiple viewpoints that surround any prison. Those are sources of natural conflicts, plus they’ll give you NPC ideas and add a new layer of interest to the adventure. Anything is possibleYou’ve started along this path because of PC actions or in- game happenstance, and you’re happy to follow along and see where things go. This is a great way to GM if you enjoy making things up as you go without much preparation. It gives PCs maximum freedom, often takes the game in unexpected and interesting directions, and gives you fun, creative challenges.Create a strong prison concept to give you a solid base to be creative with. Link what you create back to the concept or theme as much as possible to build a consistent framework and player experience.Perhaps start with a map, and consider drawing the outside of the facilities first, to give you a basic parameter to work with. Sometimes a blank piece of paper creates writer’s block, and having a few lines and boundaries is enough to give you the confidence to keep storytelling.Take cues from the players. Think in terms of NPCs and conflicts, and let those drive PC ideas and options. Avoid letting the players get too caught up in the construction, security, and furnishings of the place as they try to puzzle out an escape. Without much preparation, it’s easy to get caught up in the details during prison scenarios.For example, if the players want to get into minute details of patrol patterns and cell construction, introduce an NPC who has an escape plan already hatched and asks the PCs to join in – perhaps after a test of ability first. World buildingYou are purely world building and enjoy creating detailed settings. The Prison Design Ideas tips will give you many details to think about. Be sure to take a 10,000 foot view to get an idea of the prison’s place on the map, place within society, and larger scale conflict opportunities that would drive regional conflicts and events. How is your prison designed? Below is a list of some possible design factors. Unless you have the time and desire to design a complete facility, use the list just for inspiration and idea generation. Avoid answering every – even most – questions. You want to build a strong hook on which to base an interesting jail location, theme, or concept. Players won’t see most of the details the list can generate. Your best approach might be to pick a line at random and create a cool prison concept from that and then move on. As you read the list, keep paper or digital notepad handy and write down any ideas that come to you. Store these ideas when you’re done in a place you can easily get to during a game (such as a GM binder) so you have pre-generated notes to bail you out whenever needed. Where is the prison located? Physical area of the prison site – Altitude – Terrain – Water access, drainage – Food access – How flat is the ground? – How hard is the ground? What is the surrounding area like? Are there any special regional features? How many prisoners was it designed for? How many prisoners currently reside there? How many inmates per average cell did the design specification allow for? What is the average cell size? What types of prisoners must be dealt with today? Same as the original design specifications? Some that required upgrades? Were those upgrades performed? What authority funded the project? Were there any special or secret objectives? What was the builder’s budget? Was the project under- or over-funded? Were there any special design features? Were there any design flaws? Did the builder make any mistakes? Did they report mistakes or cover them up? What building materials were used? Were there any special building materials? Did the builder use construction plans? Were copies made? Where are those plans today? Were plans and blueprints for special areas given special security? Where are those plans today? Are the builder and crew(s) still alive? Where are they today? Is the prison a private prison or a state-run facility? What funds the prison today? Is the prison expensive to maintain? Are the funds adequate, not enough, too much? Are staff hired to do the maintenance, or is the responsibility contracted out? Do maintenance and operations require frequent traffic with the outside world? Does staff live on-site or do they commute for each shift? What land, air, and water access is there? Where do vehicles or mounts go? What keeps the prisoners in? Are there multiple layers of defenses or just one highly trusted defense? How do staff protect themselves from inmates? How do staff deal with riots and uprisings? On a remote island where strange and dangerous creatures dwell. On a small, rocky island a few hundred yards out in the bay or river. A former insane asylum that is a large, square, stone building without windows. In a pocket dimension with perpetual darkness and gale force winds. Prison is in Hell or the abyss. Prisoners are forced to enter a deadly dungeon, and then the entrance is blocked behind them. In a monastery where the monks use divine magic to prevent escape while they try to rehabilitate the prisoners. In the middle of a hot desert where a legendary sandstorm is said to catch all travelers and grind them to dust. In a glacier cave complex run by frost giants. On a ship that uses the prisoners for labour and pirating. Prison is located on an abandoned oil rig in the middle of a sea. Prison of the former tower of a mighty wizard. Nasty surprises are still being discovered by inmates and staff. Administration has taken over and repaired an old, ruined keep and turned it into a labour camp. Prison is a structure built inside a portable hole. Waterfront cave system. Prisoners are placed in the caves during low tide. At high tide the entrance is covered by water and who knows how many chambers inside are flooded, or what creatures come hunting for easy prey? Tree house. The forest is cleaned away from a large tree and the prison is created in it. The ‘tree house’ is sufficiently high up to discourage jumping – especially since the area surrounding the tree is guarded by spikes. Prison is located on an island in a magma flow. Intense heat and poisonous gas keeps the prisoners weak, requiring fewer, if any, guards. Of course, there’s that fire elemental just outside the door…. Medical prison. No need for armed guards after the prisoners are processed. The use of paralysis drugs keeps them where they should be. The prisoners can be kept mentally alert or drugged depending on the will of the captors. The prison is a mine. However, prisoners dig too deep and release a creature from below. As the beast breaks out and tries to surface, the prisoners have to get out of its way and follow it up as it breaks through the anti-escape measures. If the PCs have a conscience, they also have to try to kill it at the last moment while it is at its weakest and before it is unleashed upon the world above. Prisoners of several Chinese dynasties were forced to build the Great Wall. A cultural prison. Prisoners of war are honour bound to service for a year and a day. The prisoners create the society’s entire service sector. See the Aiel in Robert Jordan’s Wheel of Time Series. Banishment outside the civilized or tamed inner walls of a society. You’ll be let back in at the end of the sentence, if you survive. Underwater. Prisoners are transformed to water breathers. They can’t escape if they can’t breath air. They catch food for the citizens above. Punishment takes the form of forced fishing in areas frequented by sharks or other underwater dangers. Underwater. Instead of being changed into water breathers, prisoners are placed in an oxygenated structure, such as a magically created bubble of air or an aged submarine. Prisoners become the gladiator tournament corps. At a drug producing farm/factory. Sure you might escape, but if you do you’ll find you’ve been on a steady diet of the substance and your addiction draws you back to where you can get your fix. Add this as a secret aspect of any other idea here for added PC drama, as they fight to hold back the one PC who didn’t make his save and is compelled to return to the prison they just barely escaped from. A gold mine. So close to riches and yet so far. In the stratosphere. Prisoners are provided a time- limited means of flight. You can try to escape but you can’t make it to anywhere else before the power of flight runs out. On a space station locked in solar orbit, with no means of propulsion. Supplies are grown, not brought in. There are no guards, no wardens, just the cold grip of physics and space. If enough of the prisoners die off, decreasing life support needs, and enough of the remaining prisoners cooperate with knowledge and labour, there is a possibility of re-rigging the power system to create escape velocity and return home. At least one cantankerous/uncooperative/ combative prisoner is the only one with a certain piece of engineering knowledge. Oh yeah, call that a deteriorating orbit and you can easily create a time limit for added pressure. The prison requires the prisoners to work daily to gain their own survival (maybe to generate the power required for their life support). The labour requirement is carefully calibrated to be just a little bit less than is possible given the number of prisoners. Not meeting the requirement gets one random prisoner killed. If a prisoner dies from exhaustion, murder, lack of life support, then the remaining prisoners may request a new inmate. A prisoner is then upgraded from a lower level of security. That means any sign of weakness might turn the other prisoners against you so they can get someone else who can pull their weight. On the other hand, working too hard and meeting the requirements too quickly just ups the work quota. Prison for the mind. A panel reviews the downloaded/magically stolen memories of each prisoner, selects a certain number of deviant life decisions (the earlier the better) that the prisoner made, and recreates the experience via neural/magical input. Short term memory longer than the experiences is deactivated, but long term memory remains active. The prisoner relives an experience over and over again, and though he can’t remember it, he learns intuitively about the experience. The goal is alignment change or character change. The prisoner may not move to another experience or complete imprisonment until she has made good choices (according to the evaluators). Could be used to let the PCs replay a horribly botched combat/RPG experience as a learning experience. Prison is 10 miles down river from the city, and is surrounded by deadly swamp, marsh, and jungle. Prisoners are used to unload ships and reload goods for final shipment to the city and beyond. Possible reasons for it could be to keep infidels away from city, or to keep unclean foreigners from contacting religiously clean city dwellers. On a mesa in the middle of a canyon. The bridge to the mesa can only be extended by the people who live in the plains next to the canyon. The canyon floor, of course, is inhabited by monsters or snakes, or it is a river canyon and the river is filled with flesh-eating fish. Sentenced to be a prison guard. For minor offenses people are sentenced to serve in a rowdy prison. They are equipped well enough, but get to see firsthand the punishment for a worse crime. Forced subject of medical/magical experimentation. The sentence is time limited, but the effects might be long lasting. Some may be beneficial, but others are very much not. Retributive justice. The victims of the criminal’s crime are free to come by at their leisure to press a button inflicting pain upon the criminal. The criminal is only set free when the victim is satisfied that the criminal has suffered enough. In a society built on stratified classes, punishment for crimes is social demotion, time limited or not. Old friends and family won’t see you anymore because you are untouchable. Same terrain, same city, totally different world. Thanks to Scot Newbury, Eric FitzMedrud, Peter G. for their prison concept ideas. Stay tuned for the next part in the Jail Break series of tips. Just in time for the Holidays, get your own very special stocking filled with a pound of Crystal Caste dice. Get them for a player or your GM, or pool together with the whole group. These are limited for the Holiday, so place your orders now. Have some GM advice you’d like to share? E-mail it to [email protected] – thanks! 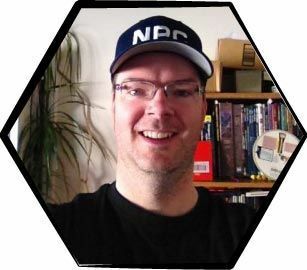 Kate Manchester’s “PC Death And Your Campaign” touched on a list I came up with recently when our D&D group nearly suffered the deaths of two players’ characters after an encounter went bad. I thought I’d bounce the ideas your way to share. So, a PC has died. Now what? Most RPGs settings provide options for a GM to keep a character in the game, avoiding a player having to start over with a new character. Before finding that cleric, here are some other ideas game masters could consider for their games. Resurrection or reincarnation by NPCs other than the slain PC’s allies. Usually other heroes or their powerful patron raises the dead character. What if some unknown cult, wizard, or magical being with a secret agenda decides the PC is too important to let fall too soon? What secret plans need the PC as a pawn played in an unseen game? Ghost, revenant, or other undead – with a catch. This long-standing fantasy tradition works easily as either a reborn servant of justice or hell, serving the demands of an angelic or demonic patron who expects the boon of renewed existence to come with certain conditions to act out on earth. Psychic transference to a new body. A simulacrum of the slain hero has been held in stasis for just this sort of crisis. The GM may or may not allow the character to keep stats, levels, or abilities. If not magic, technology might allow for cybernetic brain-tapping into a mindless, cloned body or android duplicate. Alternate timeline crossover. A duplicate of the slain character with slightly or vastly different memories is drawn into the PCs’ universe, perhaps in response to the cosmic trauma of another “eternal champion” biting the dust. Author Michael Moorcock pioneered this genre with Elric and related heroes. Broken fate. The character was not supposed to die now and miraculously survives no matter how severe the injuries. However, from that point forward, the character is a magnet for horribly bad luck, paradox demons, or some other curse reflecting the warped reality. Elemental transference. The character’s spirit or soul animates a duplicate made of a pure element – earth, fire, water, plant – changing in nature, but otherwise functioning much as before. The element might involve new vulnerabilities, such as no longer being cured by mortal healing magic and taking damage from the appropriate opposing element. Android or clone is the one slain instead. Upon death, the PC’s body is discovered to be something artificial but programmed to believe it was the real thing, complete with false memories. Without the player knowing, the “actual” character was kidnapped during a previous adventure and switched with a duplicate designed to act as the “perfect spy” on the other PCs. Your recent issue on PC Death brought to mind two things. The first is, in many campaigns, there are answers to death. Although this is more common in fantasy games, Leonard Nimoy has pointed out that they came to him to ask about appearing in Star Trek III after his character had died in Star Trek II, and they found a way to bring him back. Resurrection spells and wishes are often used in fantasy campaigns to bring life back to the dead, but sci-fi worlds often have life rays or matter restoration systems that can reconstitute the deceased. The second is probably tooting my own horn, but Sorcerer author Ron Edwards once said that our game, Multiverser, had some of the best answers to the problem of character death, because if a player character is killed in our game it advances the plot, as he finds himself starting a new adventure in another universe. Many referees have thanked me for this innovation (for which I must credit my partner, E. R. Jones), as it has freed them to stop worrying about whether the player is going to get his character killed. One said he is finally able to remove the kid gloves and deal damage and death in response to player foolishness, knowing that the game continues, the character survives, and while the loss is real, it is not total. I had another alternative outcome for character death that’s been working well. The character, if raised, loses a level, but for only one session. Then the character jumps back to the party level. If the player wants to bring in a new character, the lost level affects that character instead. This is a way to make character death painful for the player, but causing only temporary pain. If a character incurs permanent penalties, the player might want to start over with a new character or quit the campaign. Death remains meaningful, and prevents players from taking wild risks with their characters. Some LARPs use a sort of point-buy system. If a character has the swordsmanship trait at level 6, they can wager any number of those levels in a given encounter. Whoever wagers the most traits wins out, but the more conflicts you get into, the fewer traits you’ll have available. Check out the Mind’s Eye books for Live Action in the World of Darkness for an example of this kind of play. It’s not entirely freeform, though, since it requires characters to have explicitly defined statistics. You could modify it somewhat to simply give each character a certain number of generic points that they have to wager in any given conflict. This would not necessarily have to be physical contests, either – social conflicts could be resolved through wagers as well. It would be necessary to define the stakes. Each player declares their preferred outcome and submits a wager. It might require a disinterested third party to adjudicate the result. Maybe each party could send a private message or e-mail to a moderator, who then reports which party won the contest and by how much. The winner gets to narrate the results, taking both players’ objectives into account. You’d have to devise a method for replenishing the points. I am thinking that some form of social cooperation should earn points. FR3 Anauroch is the final part of a three-part series of 160-page hardcover super-adventures set in the Forgotten Realms campaign setting. It can also be easily played as a stand-alone high-level adventure. In addition to encounters, this book contains detailed source material on the land of Anauroch, home of ancient Netherese ruins and the Empire of Shade. I've been writing and publishing Roleplaying Tips since 1999. I produce books, courses, and an app to help game masters have more fun at every game. I'm mostly a fantasy and D&D GM. I live in Edmonton, Alberta and love bacon, d20s, and sword & sorcery books with a little hard sci-fi thrown in. I discovered D&D in grade 5 when a student tried to GM our entire class one afternoon. The game was a disaster, but it left a huge impression on me. What If A PC Was A Living Spell?